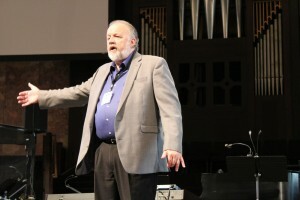 Speaking at the Southern Evangelical Seminary’s annual National Conference on Christian Apologetics, Christian philosopher and historian Gary Habermas shared historical facts that a vast majority of scholars, including even skeptics, do not dispute — facts that are the basis for proving Jesus’ boldly resurrection. “Of what did earliest preaching consist before there was a single New Testament book? What did the earliest Christian preaching look like before any books were written?” Habermas, a New Testament scholar, asked the audience, explaining that he would talk about what the first 20 years after Jesus’ Crucifixion looked like.